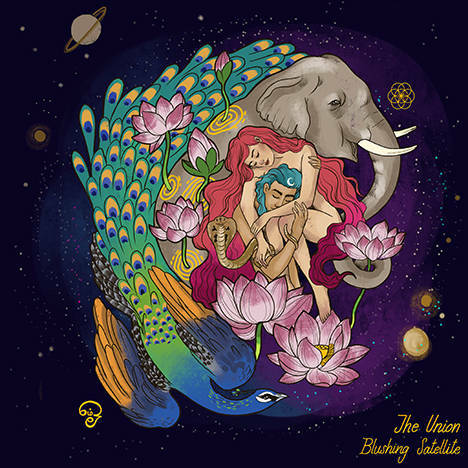 The Union | Blushing Satellite | OK Listen! The album draws its inspiration from multiple interpretations - the union of Shiva & Shakti, Yin & Yang, Male & Female and Vibration with Silence. This music is an offering to the universal mother’s unconditional love. Blushing Satellite invites the listener on an inward journey through transcending melodies and soulful poetry backed by intricate grooves. Special thanks to Guruji Vishvanath, E.R Chandramouli, Priya Chandramouli, Sabarish Chandramouli, Gazenia Anderson, Audio Academy, Varun Rao, Alexis D'Souza, Sanjeev Rao and Family, Bantering Ram, Parvaaz, Srijayanth Sridhar, Karthik Basker, Mithun Bhat, Wesley Newton, Shailesh Tainwala and all the others who have been part of the journey. Close your eyes and tune your attention inward.